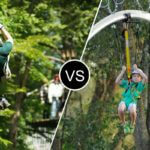 Four Steps Operators Should Take Now to Reduce Risk and Improve Program Quality > AdventureSmith, Inc.
After more than a decade of double-digit growth, commercial zip line tours and aerial adventure parks are becoming mainstream, dotting the landscape of most vacation destination areas, ski hills, and many recreation centers. Increased visibility, however, comes with a price. Recent, highly-publicized accidents and near-misses have raised concerns about increased regulation, the likelihood of rising general liability and worker compensation premiums and have left many operators worried about how they can best mitigate risk and prevent an accident occurring at their program. Since the Association for Challenge Course Technology (ACCT) first started producing standards, a heavy focus has been placed on design, installation, and inspection of challenge course structures. Most commercial operators have adopted these standards and participate in annual or semi-annual technical inspections of their challenge course structures by accredited builders or certified inspectors. In recent years, training and staff certification by third-party providers has become a more important part of the standards, leading to further consistency among operations. While each of these strategies have helped to mitigate risks and improve overall program quality in the marketplace, they often do not address the more holistic concerns of operation review and program audit. Operators seeking to mitigate risk and improve the quality of their programs are encouraged to include operation review in their budgets and risk management planning. For those programs getting started with operational review, here are four tips to improve program quality and reduce risk. The organization engages persons outside of the organization to review operational practices to improve risk management and program quality. This review could range from review of operations by an experienced program manager from another organization to a thorough comprehensive review of documentation and practices. While it is recommended that careful attention be paid to engaging the right individual(s) to perform the third-party review, years of experience in the challenge course industry should not necessarily be the key determinant. Consideration should be given to engaging an individual or individuals with a broad range of experience that are able to examine your program from multiple viewpoints. In addition to challenge course professionals, consider insurance auditors, underwriters, banking professionals, legal counsel, product manufacturers, regulators from other industries, and consultants. That said, there is great benefit to conducting multiple reviews with both professional operators from within the industry and stakeholders who will ask good questions and challenge operational practices. In developing an agenda for a review, provide ample time for the auditor(s) to experience each program first hand and to observe program procedures from a distance. While it can be tempting to put forth your best foot, resist the temptation of showcasing only your most senior and experienced staff. Little is learned from third-party reviews which are staged. In fact, staging or front-ending reviews can lead to staff behavior and organizational actions which cover-up deficiencies that might otherwise be caught and corrected. TIP: Use ANSI/ACCT Standards Chapter 2: Operation Standards to guide a discussion and formal review once the reviewer has spent time auditing the operation. Operators, have your documentation ready. The review should not be limited to the delivery of programs, but to the systems and documentation which evidence the procedures and processes are being followed. Request a written report and use the findings as a roadmap to address deficiencies and celebrate successes. 2. Engage a secret shopper. It is possible to engage professional secret shoppers to participate in your program and provide a detailed assessment for a modest fee. Alternatively, many programs have had excellent success in engaging employees and managers from other tours in their region and professionals met through networking at conferences. Staff swaps can be an excellent way to reduce cost and benefit both parties provided that anonymity is maintained. 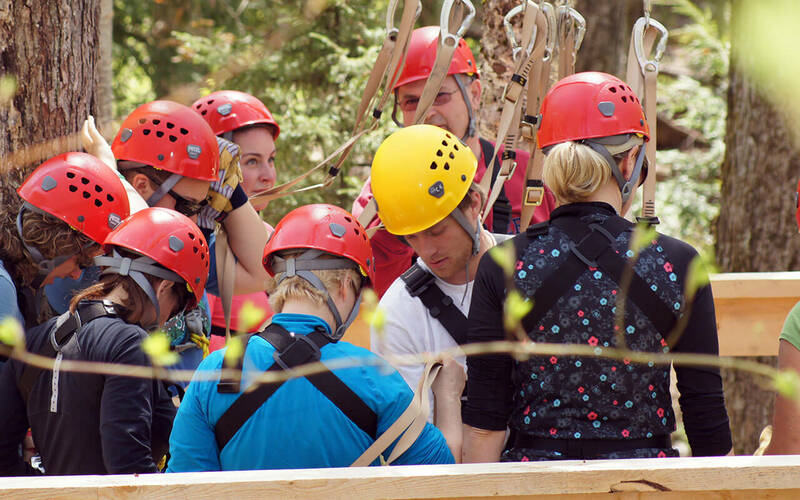 The benefits from engaging a professional secret shopper with no background or experience in zip lines and aerial adventure courses differs significantly from those achieved in hiring challenge course professionals. Results from professional secret shoppers are often more customer service oriented and less focused on the technical aspects of the tour. Professional secret shoppers can be used to test online booking processes, assess responses to difficult booking questions through e-mail or phone calls to the site (as with Park Spy), test minimum participant requirements, provide feedback on send out materials, and on the guest experience. 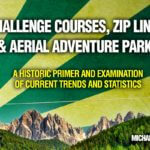 The quality of feedback from challenge course professionals can vary significantly, and operators should be aware that untrained secret shoppers often bring biases for certain technical systems and procedures that might not be standards-based. In situations where untrained secret shoppers are utilized, it can be useful to establish guidelines and areas of assessment in advance of the visit. TIP: Take care not to inform programming staff of a secret shopper. When programming staff know that they are under performance review, common behaviors are often hidden from the shopper and additional attention to details, which might otherwise be overlooked, are scrutinized. Instead, let staff know when they are hired that third-party reviews will occur. Request that the secret shopper not identify themselves as a reviewer. As a program manager, do not alter your role. If you are normally the one to greet a group, cover staffing briefings, or handle difficult customers, do not remove yourself from the position that staff count on you to fill in daily operations. Ask the secret shopper to provide a brief letter summarizing their findings. Documentation demonstrates compliance with B.2.7. and will help during risk management reviews to target specific concerns and areas for improvement. Whether as a secret shopper, reviewer, or paid participant, set a goal to participate in five (5) or more adventure programs each year. While ignorance might be bliss, avoiding isolation is a key factor in risk assessment and prevention. Experiencing new models may not always lead to new improvements in your program, but critical examination and reflection are key skills to hone in any risk management environment. Professional trainers, inspectors, and operational reviewers who have the opportunity to visit many sites often comment on the benefit of becoming a critical examiner. When you become practiced at scrutinizing other programs and understanding the breadth of operating systems and processes, you inherently become more experienced at examining your own program and making decisions. The benefits of participation in other programs range far beyond risk management, from new marketing ideas to customer service strategies. Developing relationships with other operators through honest dialogue also creates and maintains critical support networks which can be called upon in the future. Such participation can be a valuable tool not only for course managers, but also for guides and core staff seeking to learn more about the industry and to develop their skill set. Several states and geographic regions have formed their own associations and conduct regular gatherings for the purpose of training and development, networking, and to educate other stakeholders including but not limited to regulating bodies and jurisdictional authorities. TIP: Be mindful not to make judgments in advance of attending other programs, but to be open-minded to new and unique experiences. Challenge yourself to try course types which you might not have experienced as well as programs similar to your own. Become an avid fan of those brands which are doing it right, but also become an attendant of those courses which you believe might not be doing it well. 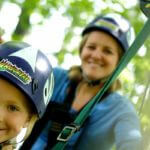 Keep in mind that today’s aerial adventure park and zip line customers are likely to participate in more than one tour. Understanding the scope of practices, prevailing or otherwise, can aid in understanding your customer, their needs, wants, and prior experiences. Consistency in message and action are critical in establishing trust with your customers and effectively managing risk. Your brochures, website, writings, and the representations made by your staff in the field or during booking can become agreements that you will “deliver” as described. While professional operation reviews, review by legal counsel, and secret shoppers are likely to turn up many of these inconsistencies, an internal audit of marketing, messaging, and documentation should be conducted more regularly. Consistency of messaging is not simply a matter of protecting oneself against litigation in the event of a loss, although this is a concern. Consistency is about creating an environment in which participants and staff understand their duties, obligations, and expectations. Such inconsistencies may be brought about by exaggeration or misstatements made in marketing materials, by misrepresentations or bad habits which can be repeated and spread among staff or, in some cases, through misunderstanding inside of a programming/tour group. In addition to frequent observation of programming staff and review of common marketing materials, a watchful eye on social media, customer survey responses, review websites, and video/photo channels are highly recommended. Unclear messaging and representations do not always come directly from the program. They can just as easily come from client testimonials, reviews, and video. TIP: Train staff to be aware of messaging and messaging inconsistencies and to monitor for them. Make a habit of monitoring social media, review sites, video channels like YouTube, and client surveys on a regular basis. Establish guidelines for reporting findings and correcting misrepresentations and/or breaches in practice and procedure. These four steps are a small part of developing a comprehensive risk management plan. Paired with professional third-party inspections of course structures and equipment, staff training and certification by a qualified body, continuing education, and prudent business practices, these steps can help to identify risk exposure and enhance the quality of the adventure experience.